Home to some of the most jaw-dropping scenes in the world, New Zealand is the perfect destination for an adventure. Starting in Auckland and ending in Queenstown, this wonderful 19-night self-drive takes you to some of this fascinating country’s epic destinations, including Napier, Marlborough, Kaikoura and an overnight cruise through Doubtful Sound. Today you'll collect your car from Auckland and drive to Rotorua for two nights. 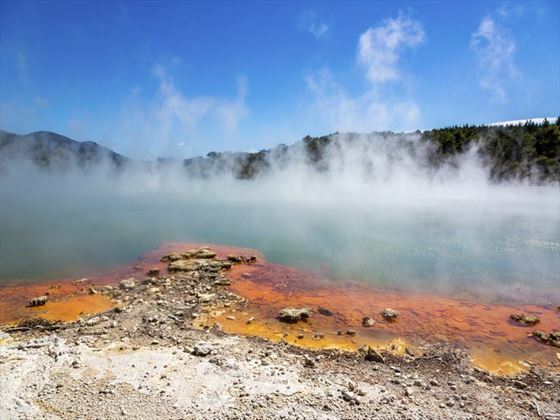 Renowned for its geothermal activity and rich Maori culture, Rotorua is a truly unique destination to discover – one minute you’ll be exploring bubbling mud pools and hot springs, the next you’ll be shopping for Maori crafts. 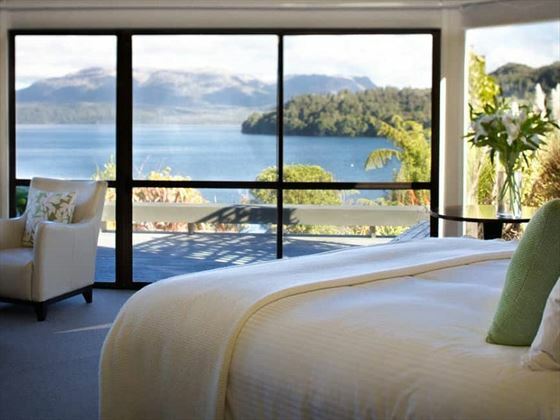 Your two nights will be spent at Solitaire Lodge, a truly beautiful lodge boasting floor-to-ceiling windows that look out onto the sparkling waters of Lake Tarawera. With only 10 suites altogether, this lovely lodge has an exclusive feel. 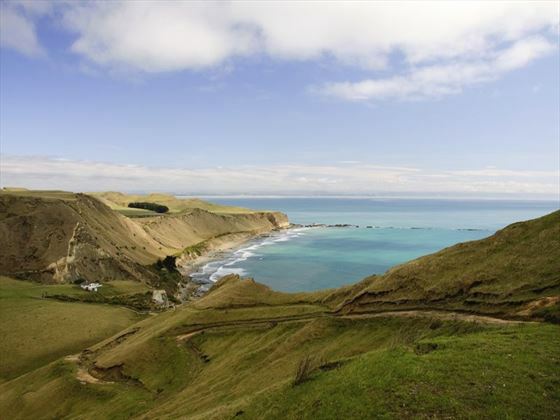 Begin the day with a drive through the thermal region to Napier, a picturesque coastal city nestled within the wonderful wine-producing region of Hawke’s Bay. Blessed with soaring mountain ranges and gorgeous beaches, Napier has a wonderful backdrop for its stylish art-décor buildings. Spend your days relaxing, or take a bike ride through the rural areas. 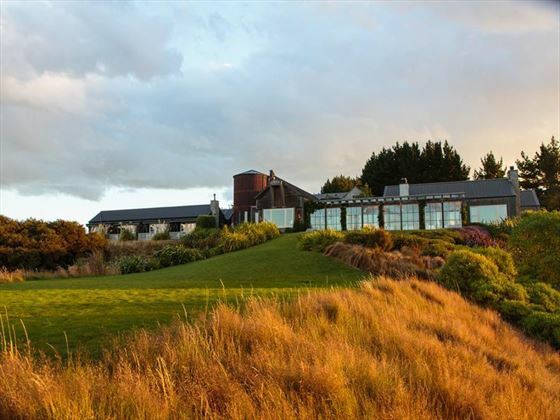 The Farm at Cape Kidnappers is your retreat for the next two nights, tucked away amongst the rolling pasture-lands and offering incredible views of the Pacific Ocean. Enjoy a whimsical couple of day’s cosying up by the fireplace, or testing your swing on the 18-hole championship golf course. 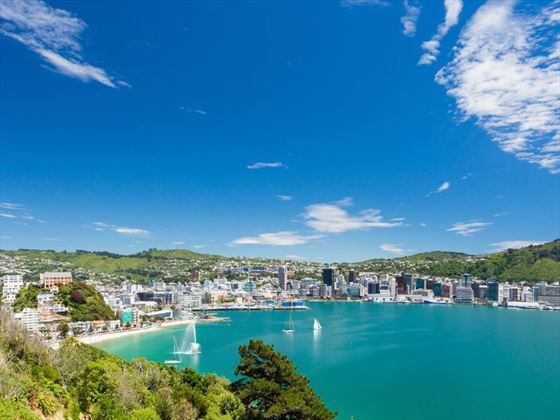 Today you will drive to Wellington, a cool city brimming with a colourful art and culture scene, boasting a stylish waterfront promenade, sugary sand beaches, and close proximity to verdant rolling hills. 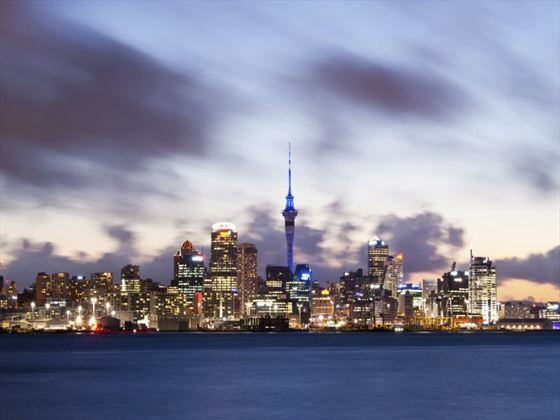 Wellington is renowned for its creativity, and you’ll experience it all here. 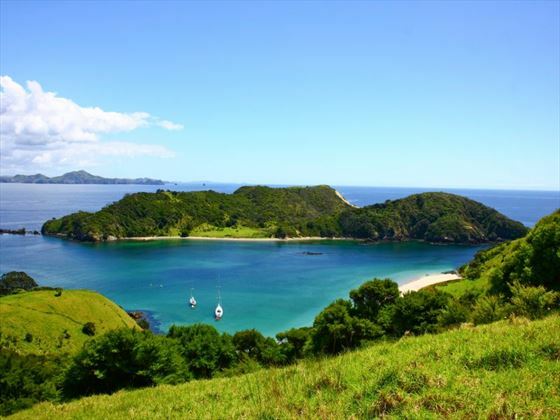 On the morning of day six, drop your car rental at the Interislander this morning and take the 3-hour ferry ride over to Picton – described as one of the most beautiful ferry rides in the world. 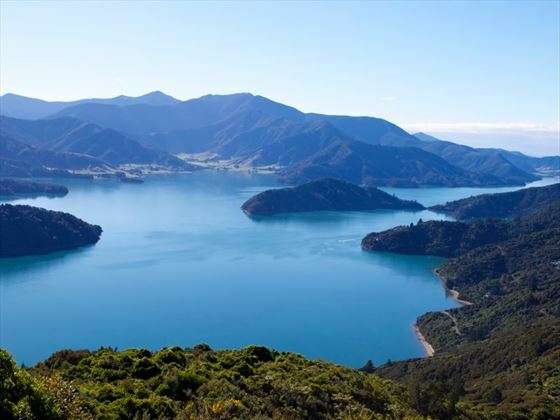 As you pass through the Marlborough sounds, ensure to have your camera ready for those wonderful bush covered mountains, small islands and crystal clear waters. Retreat in the premium lounge (18+) when you’re not admiring the views and enjoy complimentary beverages, light snacks and meals, internet access and wonderfully comfortable seating. Your resort for the next three nights is the Bay of Many Coves – nestled within the impressive wine-producing region of Marlborough. Spend three nights taking in the beauty of this splendid retreat, exploring the mirror-effect waters, dining on fresh locally-sourced cuisine, and resting in your understated yet trendy apartment with private balconies and uninterrupted views. Take the Picton Ferry today over to your Blenheim accommodation where your Taste Marlborough wine tour awaits. Home to some of the finest vineyards and wineries in New Zealand, Marlborough is a truly luxurious spot on this tour. Your day here will be spent sipping divine wines before retreating to the Marlborough Lodge, your home for the night, an opulent country estate hidden away within 16 acres of secluded parklands, offering a sensationally intimate place to indulge in sublime gourmet food and wine. Transfer to collect your car today and begin the cross through the ‘dry hills’ towards the spectacular coastline of the South Island. 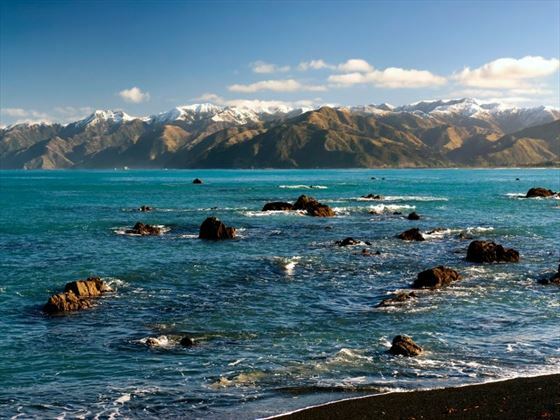 A coastal town known for its amazing wildlife – including fur seals and sperm whales – Kaikoura is a wonderful spot to explore. You’ll be staying somewhere really special too – Hapuku Lodge Tree Houses. Fusing country-lodge charm with chic décor, these lovely tree houses boast gorgeous views of the surrounding area, perfect for exploring the coast. On day 12, weather dependant you will take an exciting Whale sightseeing flight where you can spot some of the amazing varieties of whales – from Humpback, Southern Bottlenose and the might Blue Whales to the less frequent visitors – Orca Whales. Continue driving down the coast today through the Waiapra Valley, if time permits we would recommend a detour to Hanmer Springs for a dip in the relaxing thermal pools. Explore your surroundings upon arrival to Christchurch before dropping the car at the airport and taking the short flight onto Queenstown. Tonight you’ll be staying at the fantastic Matakauri Lodge situated on the Lake Wakatipu with remarkable views from every angle. Continue your journey following the shores of Lake Wakatipu, crossing the rolling tussock lands of Mossburn before arriving in Te Anau, the gateway to the Fiordland National Park - home to the jaw-dropping Milford and Doubtful Sounds, this national park’s soaring glaciers and sparkling fiords are truly impressive. Nestled not too far from Milford Sound, Fiordland Lodge is a chilled and intimate space that is clearly inspired by its picturesque surroundings. 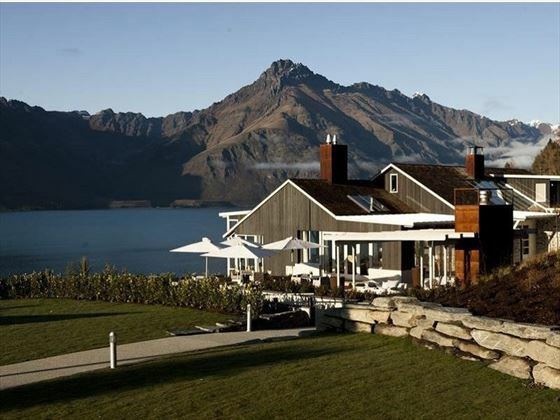 With architecture much like a contemporary country lodge, your days here will be spent drinking in the fabulous mountain views and dining on local New Zealand cuisine. 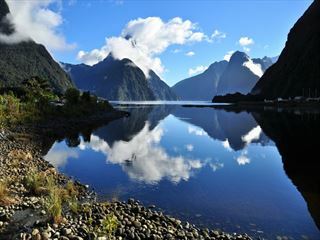 Today you will board the Fiordland Navigator, to enjoy an epic overnight cruise through Doubtful Sound. Sailing along the fiord is a humbling experience, with gigantic mountains soaring high in the sky, and still waters offering a serene ambience. The wildlife here is unbeatable, fur seals, dolphins, and in season rare penguins are just some of the wildlife you can see here. There is time for you to go kayaking and exploring in the tender vessels with the nature guide, admiring the stunning views. Return to Queenstown today to enjoy some more time exploring and enjoying the lakeside retreat. Lake Wakatipu is truly dazzling. 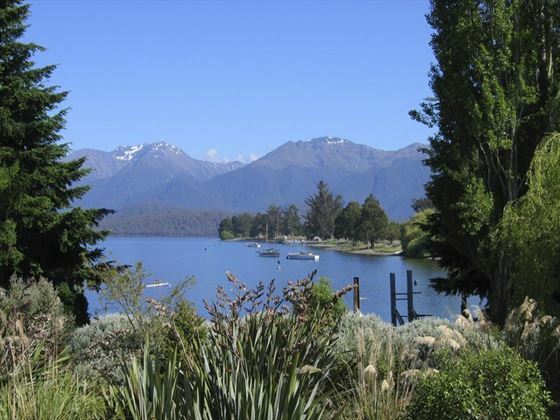 The third largest lake in New Zealand, a stay here is tranquil and peaceful. You’ll have two nights here, giving you time to not only explore the lake, but also unwind and enjoy a restful stay at Matakauri Lodge. Nestled along the lake’s edge, this secluded lodge prides itself on its desirable sense of getting back to nature, with a striking infinity pool that overlooks the water, and floor-to-ceiling windows in every suite so you get fantastic views at any time of the day. Leave Queenstown and cross the Crown Range - the highest sealed road in New Zealand - before arriving in the alpine town of Wanaka. From here you'll visit the small town of Makarora, stopping by the beautiful Blue Pools for a ten-minute native beech forest walk to a glacier-fed swimming hole. 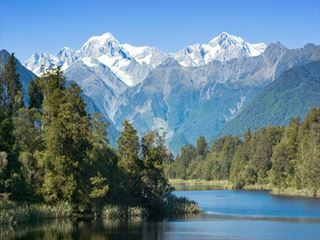 After a dip, journey along the seaside settlement of Haast, before travelling up the rugged West Coast adorned with native rainforest and ending in Franz Josef township via Fox Glacier. Today you'll also enjoy an amazing scenic helicopter flight over two of New Zealand's most famous glaciers. On your second day here you can explore the small but lively town, well known for its 12km long glacier and surrounded by lush rainforest-clad mountains - walk along the valley floor to see the ice up close without a guide or take a licensed tour and go on the glacier itself and explore the crevasses, caves and ice flows before winding down with a soak in the Glacier Hot Pools, highly recommended after a cold day out! 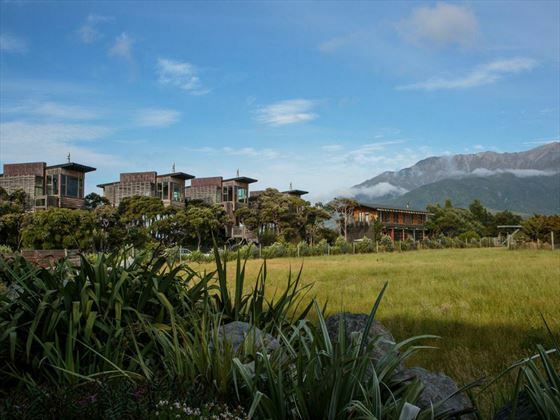 Venture north through the fascinating old gold mining region of Hokitika. Known for its Greenstone (otherwise known by its Maori name Pounamu - beautiful, highly valued rocks including nephrite jade and bowenite), this quaint seaside town is teeming with rich history that dates back to the 1860's. Next, you'll travel to the coast, stopping by kooky craft shops along the way, before ending up at Greymouth. 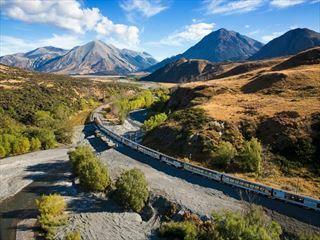 From here, you will leave your rental car and board the Tranz Alpine Scenic Train for a spectacular rail trip to Christchurch, arriving in at 18:30. You will be met by a private transfer driver and taken to your hotel. On day 22, spend your final day exploring the city of Christchurch - we recommend the Christchurch Pass, a one stop shop to three main attractions. Catch the Gondola to the ring of an extinct volcano, tour the Botanic Gardens and hop aboard a historic tramcar. Enjoy your final breakfast and morning in Christchurch - today marks the end of your adventure, take the private transfer to the airport for your onward flight96.